Not sure how to maintain your fitness while you're pregnant? Fit mama and FitMiss athlete Noora Kuusivuori has the info you're looking for! Being pregnant is an extraordinary experience. There's nothing else like it in the world. Your body goes through amazing changes, and you live each day of those nine months knowing you're growing another human! However, strong opinions abound about what you should and shouldn't do as a pregnant woman, especially when it comes to fitness. The further along I get in my pregnancy, the more likely I am to hear questions like "Why are you still in the gym?" and "Why are you still lifting weights?" My question back to them is always "Why not?" I trained before I was pregnant, and now, well into my third trimester, I'll keep training. Staying active has helped me stay healthy and within the recommended weight-gain guidelines, which is about 30 pounds. This is my second pregnancy, so I know that working out helps my postpartum recovery feel easier, and the road to getting my body back won't seem so overwhelming. Staying active has helped Noora stay healthy and within the recommended weight-gain guidelines. 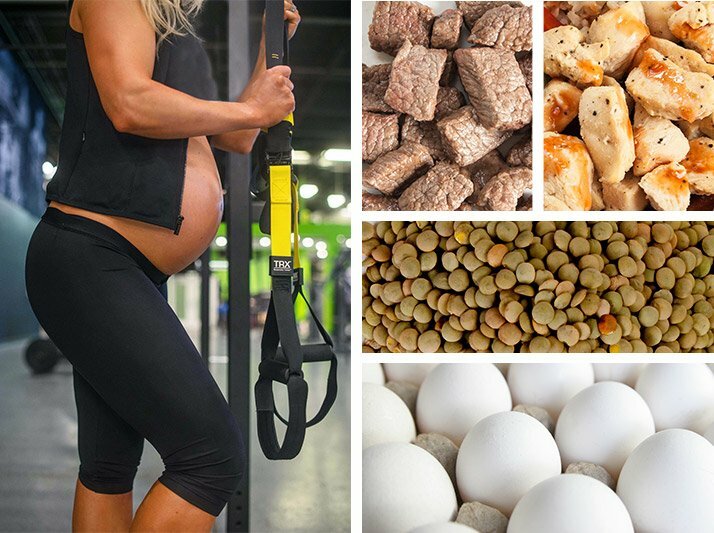 If you're pregnant and want to know a little more about how to train, eat, and use supplements, then read on! I'll go over my pregnancy fitness regimen and how it differs from my usual routine. Then, you can take that gorgeous baby bump of yours and hit the gym! *Before beginning or modifying an exercise program during pregnancy, consult with your doctor or midwife. If you were training with weights before you were pregnant, it's generally safe to continue while you're pregnant. In fact, current national and international guidelines recommend that healthy women should perform resistance training throughout pregnancy.1-3 However, make sure you check with your doctor or midwife before starting. Working out while you're pregnant can help alleviate pain, improve posture, and strengthen your core. When you're in the gym, make sure you listen to your body. You can't get "more fit" while you're pregnant, so adjust your mindset. Stick to maintenance instead of gaining or losing. If something doesn't feel right, just skip it. Exercises that call for you to lie flat on your back or lean your abdomen against a pad may start to feel uncomfortable, so look for alternatives. I love using dumbbells, because I can work them around my kangaroo pouch. In general, I've decreased the weight I use by 30-50 percent. I still want to challenge myself, but I also want to make sure I'm being safe. I like to slow down my repetitions, do negatives, or do more reps than I normally would. You can still feel the burn, even with lighter weight. I typically don't have the time or patience for yoga classes, but because I can't train as intensely as I usually do, I've started to explore them. And I can honestly say that my body loves doing yoga! As my baby gets bigger, my muscles start to feel more tense. Stretching has helped to loosen me up and keeps me feeling limber and ready for labor. The more flexible I am, the easier it is for me to move around. It's especially important in that third trimester, when it's damned near impossible to bend over or reach anything below my knees! Ultra-Fast-Release Protein To Accelerate Muscle Building! Go Now! I didn't eat enough protein during my first pregnancy. Like most women, I just craved carbohydrates. My son was born two months early, and he was tiny! He was far smaller than a set of twins born at the same gestational age. I asked their mother what she did to make sure that her babies were a healthy weight, and her answer was that she ate lots of protein. So, I took a leaf out of her book during my second pregnancy and made sure to eat more protein. I've used MusclePharm 100% Whey Isolate in shakes and bakes throughout my pregnancy and have done a much better job getting enough protein this time around. I also add my favorite Combat Crunch bars as snacks. To grow big and strong, your baby needs a balanced, varied, and healthy diet—just like you! Along with protein, I eat plenty of carbohydrates. When I'm not pregnant, I usually stick to a pretty low-carb diet, so eating as much fruit, quinoa, oatmeal, and rice as I want has been pretty fun. I also try to eat a good variety of healthy vegetables like spinach, kale, and other greens. For healthy fat sources, I like avocado, olive oil, salmon, nuts, and coconut oil. To grow big and strong, your baby needs a balanced, varied, and healthy diet—just like you! When you're pregnant, you share fluids with another human, so it's especially important to drink a lot of water. There's no reason to carry around a gallon jug, but instead of those sodas or juices you usually drink, make the switch to water. Supplements like fat burners and pre-workouts should be cut as soon as you have a positive pregnancy test, but that doesn't mean that you can't enjoy the benefits of other supplements. A prenatal vitamin with folic acid should be first on your list. Besides the MusclePharm Isolate protein powder, I also like to take MusclePharm fish oil, because the DHA is important for my baby's brain and eye development. Studies suggest that children whose mothers consumed DHA during pregnancy have better problem-solving skills. I've also continued to use BCAAs, which are generally considered safe to use during pregnancy, but I still recommend talking to your doctor before using them. High levels of BCAAs in children may pose some risk, so if you're already getting enough protein via whole foods, you may not need to supplement with additional BCAAs. Growing a new life is a magical process, but it can also be scary and stressful. Do your best to enjoy this time. Stop worrying about how you'll lose the baby weight or if you've decorated the baby's room enough. Instead, cherish all the kicks and punches, and remember that the pregnancy period is just a short time of your life. You can start bonding with your baby while he or she is still in your belly. I've already created a special bond with my daughter by talking to her and acknowledging her movement in my womb. She moves around a lot when I work out, so I rub my belly and give her props for her big strong moves. Whatever your way of bonding with your baby, it's never too early to start! American College of Obstetricians and Gynecologists. (2015). Physical activity and exercise during pregnancy and the postpartum period. Committee Opinion No. 650. Obstetrics and Gynecology, 126, e135-e142. Schmidt, S. M., Chari, R., & Davenport, M. H. (2016). Exercise During Pregnancy: Current Recommendations by Canadian Maternity Health Care Providers. Journal of Obstetrics and Gynaecology Canada, 38(2), 177-178. Zavorsky, G. S., & Longo, L. D. (2011). Adding strength training, exercise intensity, and caloric expenditure to exercise guidelines in pregnancy. Obstetrics & Gynecology, 117(6), 1399-1402. Pennick, V., & Liddle, S. D. (2013). Interventions for preventing and treating pelvic and back pain in pregnancy. Cochrane Database Syst Rev, 8. Dietary Guidelines for Americans. 2010. Washington, DC: U.S. Government Printing Office. Meldrum, S., Dunstan, J. A., Foster, J. K., Simmer, K., & Prescott, S. L. (2015). 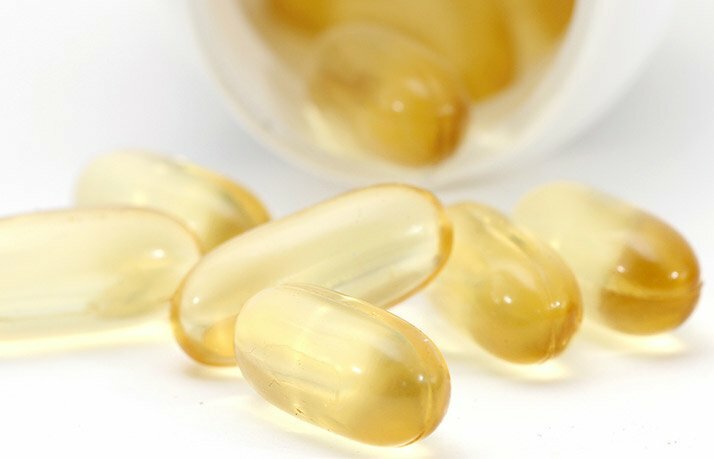 Maternal fish oil supplementation in pregnancy: a 12 year follow-up of a randomised controlled trial. Nutrients, 7(3), 2061-2067. Judge M.P., Harel O., Lammi-Keefe C.J. (2007) Maternal consumption of a docosahexaenoic acid-containing functional food during pregnancy: benefit for infant performance on problem-solving but not on recognition memory tasks at age 9 mo. American Journal of Clinical Nutrition, 85 1572-1577.